BANT, purportedly created by IBM, is widely used, generally accepted, and easy-to-understand method for qualifying leads. What does BANT stand for? The acronym BANT stands for Budget, Authority, Need, and Timeline. Budget: Do they have the ability to spend? Authority: Do they have the authority to make the purchase? Need: Does the lead have an urgent problem? Timeline: Do we know a timeframe? 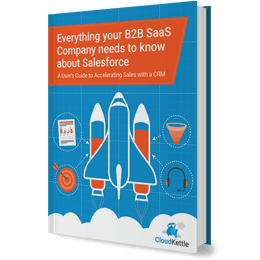 BANT+C is a free app for Salesforce, from CloudKettle, that can be installed in minutes to create an easy-to-follow, better way of qualifying leads. SDRs know how to qualify raw leads, AEs can prioritize their efforts, and Sales leadership will be more confident in the Sales pipeline. There are dozens, if not hundreds, of different sales methodologies to choose from. While many are excellent, they are also highly customized to the organizations they serve. Which is great – if your organization has a custom lead scoring system. However, often at high-growth SaaS companies, rapid growth means sales process can’t keep up with hiring. We’ve seen large, well-funded companies who don’t have a customized lead qualification process in place. BANT is an excellent place to start. BANT forces Sales, Management, and Marketing, to ask hard questions. It also helps determine where efforts should be focused to develop leads and opportunities. Which in part, means organizations can more quickly weed out prospects draining the sales team. Click here to listen to Trish Bertuzzi and Greg Poirier discuss the pros and cons of BANT. Everyone talks about getting leads. We need more leads. We need to nurture leads. Are our leads qualified? Are they Glengarry leads? While these are all important questions, even a mediocre marketing strategy will generate more leads than your sales team can ever work. Getting leads is easy. Getting quality leads which convert to opportunities is difficult. Determining which leads should be worked is often even more challenging. Every B2B SaaS company needs a basic process to decide whether a lead is worthwhile. BANT is your best bet. It starts with Lead scoring. Lead scoring is as much an art as a science, but using a CRM and Marketing Automation tool effectively (more on that here) is a pre-requisite for success. If you’ve scored your leads and Sales Development Representatives (SDRs) are working the most promising ones, you still need a measurement plan. This determines whether a lead is passed on to sales or gets bounced out of the qualification funnel (hopefully to re-enter it via a nurture campaign at a later date). There are countless but imperfect methods to qualify leads. However, your company needs an official moment when the SDR can hand a lead to Sales as qualified (and be compensated for it). In Salesforce lingo, this moment is when a lead is ready to be converted to an opportunity. While there are many ways of doing this, we recommend BANT because it’s straightforward and easy to execute. There’s a misconception that BANT lacks the sophistication required for a large seasoned sales team. Even if you have a sales team of hundreds or thousands, SDRs will always be responsible for qualifying leads. At any organization, SDRs are generally the most junior sales position and the least experienced. Providing your SDR team with a complex method to qualify leads is a recipe for disaster. Steady use of BANT provides a realistic pipeline and view of which salespeople are heroes or laggards. After all, if every lead thrown over the fence is qualified, there should be some level of success in terms of how many convert to sales. In short, BANT removes the complaint that Sales get garbage leads. Instead, Sales and Marketing (assuming Marketing oversees the lead generation team) already agreed on the lead qualification methodology and Marketing will provide Sales a specific number of qualified leads a month. This reduces friction between teams if Marketing follows through. BANT forces Marketing to generate better than average leads. Measuring Marketing’s success by qualified leads and cost-per-lead, incentives them to generate, nurture and qualify higher quality leads. They’ll quickly forget a garbage list bought at a trade show or online in search of value-driven leads. Wrap Up: Ready to get started? It’s not as simple as just saying “We use BANT. Go BANT some stuff”. 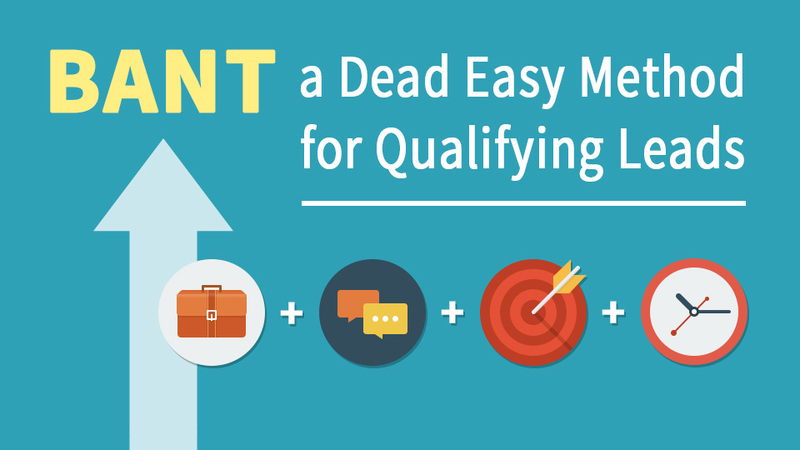 First, Sales and Marketing need to agree a BANT lead is a qualified lead ready for Sales. A formal SLA between Sales and Marketing indicating how many leads will be passed per month should also be developed. Then, you have to train your SDRs and Sales has to create lead object custom fields and validation rules. Check out and download the BANT+C App on the Salesforce AppExchange here.